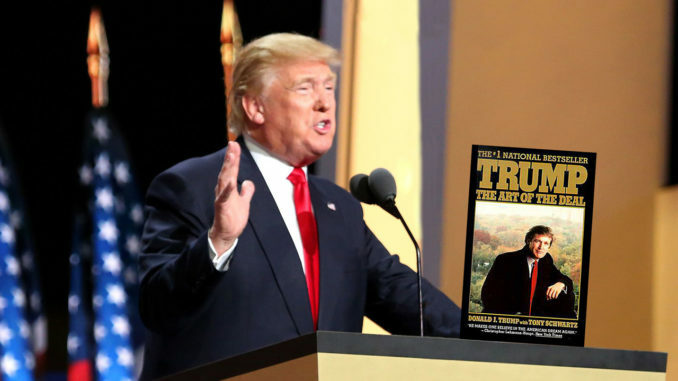 Trump to Swear in Over " The Art of the Deal"
WASHINGTON, DC – In another challenging of the political status quo, Donald Trump has decided to ditch the Bible and instead swear into office with a copy of his book “The Art of the Deal”. Trump, on why he made this decision, says “terrible deals in that book, absolutely terrible. Worse than Chyna. Judas betrayed Jesus for 30 of silver. Weak. I would’ve gotten at least a hundred, believe me”.